It’s no secret that almost 9 million people around the world lack access to safe water, or that 2.3 billion people do not have improved or clean sanitation. In fact, 1 million people each year are killed by water-related diseases, despite charity efforts to build wells across developing nations. The fact of the matter is that these efforts are not permanent or sustainable solutions. 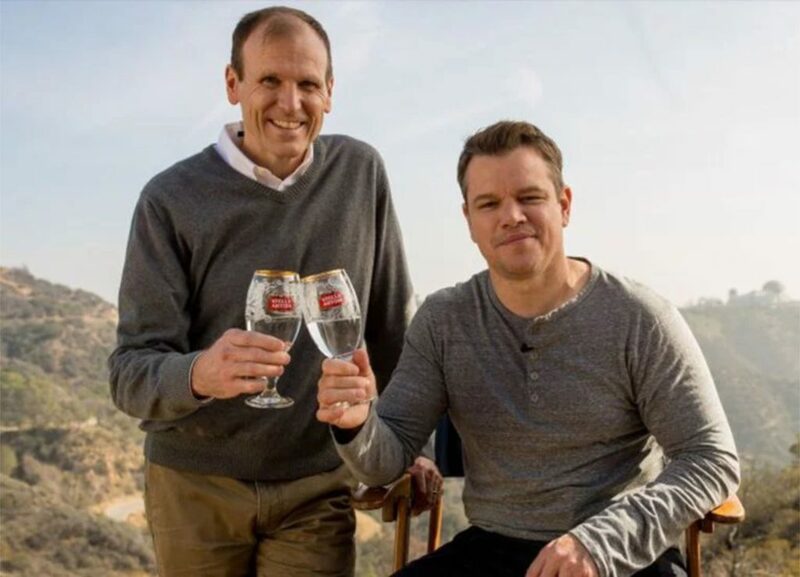 So when Gary White and Matt Damon recognized that these efforts weren’t providing enough support for people with no access to clean water, they decided to come up with a different, more unique solution, and that solution turned into water.org. Unlike many of its charitable predecessors, water.org was not designed as a charity, but a sustainable solution to the water crisis. People affected by the water crisis lack access to proper funds, which in turn means they must find other ways to find clean water, like traveling for miles on foot to the nearest access point, and then they must pay outrageous fees to water merchants. Because of these fees and other factors, millions of families spend more than 20% of their income on water, which causes a lack of funds to provide a permanent solution to access clean water, and therefore become stuck in a terrible cycle of poverty. As previously mentioned, this organization is not a charity because they do not simply give a product (such as food or water) to people without access to clean water. In the past 25 years, they have empowered more than 9 million people with access to safe water and sanitation through a unique, simple, and proven method: loans. Water.org’s founders developed a permanent solution system called WaterCredit which provides loans to families in order to get spouts and toilets into their homes and therefore bypassing water merchants and their fees. WaterCredit is the heart of water.org and fuels their ability to change peoples’ lives. Instead of going in and doing the work for the residents of these countries, this solution is market-driven and puts real money back into the economy; no more temporary fixes. The WaterCredit program realized that most governments were not providing loans for water and sanitation, so they plugged into the economic system to bring resources to those in need instead of being a stand-alone, separate entity from governments. This system of self-sustainability helps people to pay-it-forward, thus benefiting not only families with the loans, but also the economy and other people around them. So far, partners of WaterCredit have loaned more than $602 million to families in developing countries. This sustainable solution is in high demand. 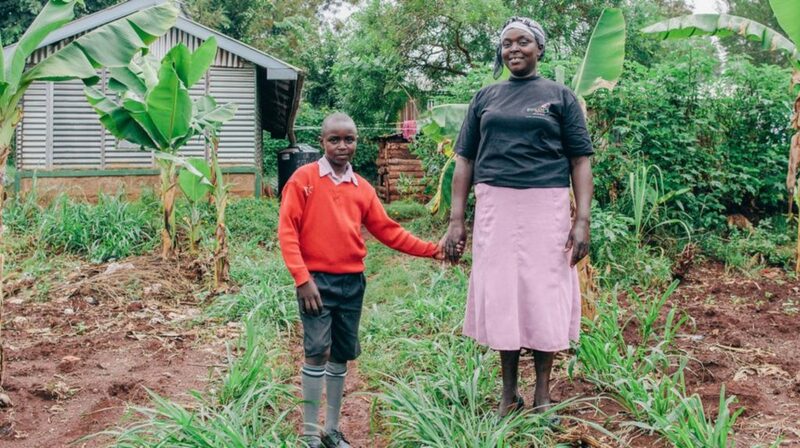 Families desire to find long-term solutions to their every-day problems, so they opt to invest in small, affordable loans that pay themselves off after the spouts or toilets have been installed in their homes. Not only does the sustainability of this program affect those who receive loans, they also affect the people and families around them. Instead of viewing people without access to clean water as charity cases, White and Damon recognized them as autonomous consumers capable of making change happen. With the right financial resources and easy access to clean water, people can define their own futures without being dependent on a charity for their basic needs. Among those most affected by the water crisis are women and children. In fact, 90% of borrowers from WaterCredit are women. Women spend up to 6 hours every day traveling to collect clean water for their families, leaving little time and energy for other important tasks. With the loans, they are able to install access to clean water right in their homes which leaves more time to pursue education, work, and provide for their families to ensure the safety and health of their children. One real-life example is a woman from Kenya named Sabina. After installing a rain collection system with her loan, she is now able to water her plants regularly, which in turns saves time, feeds her family, and brings in income from selling those plants to pay off her loan. Other women have been empowered to use their extra time to do things like open shops, which pays off their loans and cycles more money back into the economy. So we’ve shared all this information with you, and you’re probably wondering what your role is in all of this. Stella Artois has partnered with water.org to provide further access to water for those who need it. When you purchase a Stella Artois Chalice, you provide 5 years of clean water to a family in a developing country. In 2018 there are 3 chalices available, each for a different country: The Philippines, Mexico, and India. Each country’s chalice is designed by an artist from that country to accentuate their own unique history and culture. Chalices are available for purchase through water.org and Amazon. This money goes into water.org’s funds to help provide more loans for those in need. In addition to chalice sales, Stella is also offering 12 months of clean water when you purchase a 12 pack, 6 months for a 6 pack, and one month for a draft beer. Every purchase and donation makes a difference for someone in need, and you can be a part of a major change in the global water crisis. For more more information on this partnership, visit Stella’s website. Thank you for your contributions to those who need it most!